11 3/4" overall. 6" titanium bonded German 4116 corrosion resistant stainless curved boning blade. Full tang. 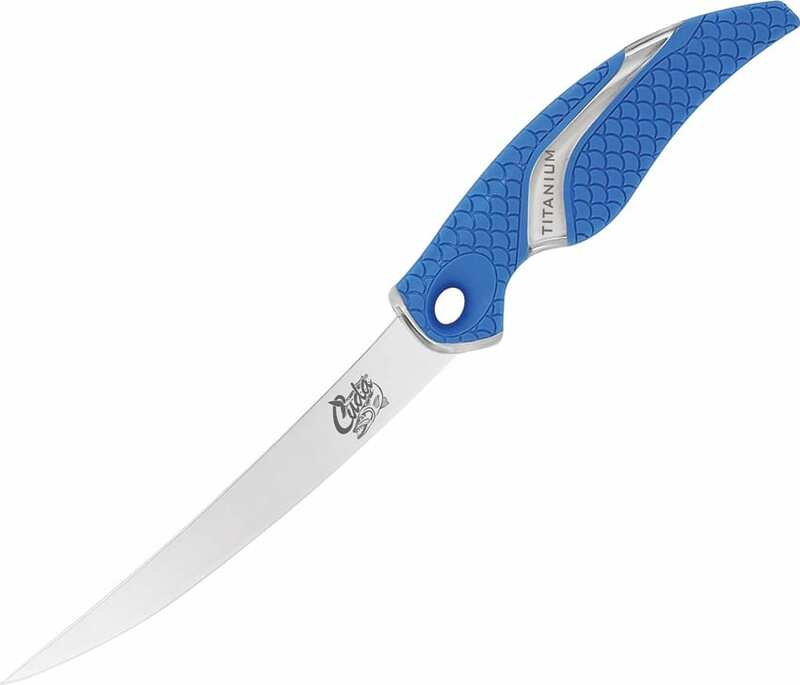 Clear rubberized handle with blue Cuda scale pattern non-slip grip. Lanyard/lashing hole. Hang packaged.